The Nez Perce tribe of Indians, like other tribes too large to be united under one chief, was composed of several bands, each distinct in sovereignty. It was a loose confederacy. Joseph and his people occupied the Imnaha or Grande Ronde valley in Oregon, which was considered perhaps the finest land in that part of the country. 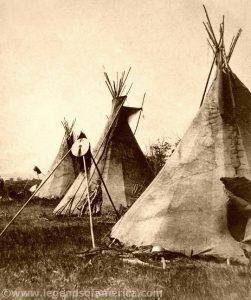 When the last treaty was entered into by some of the bands of the Nez Perce, Joseph’s band was at Lapwai, Idaho, and had nothing to do with the agreement. The elder chief in dying had counseled his son, then not more than twenty-two or twenty-three years of age, never to part with their home, assuring him that he had signed no papers. These peaceful non-treaty Indians did not even know what land had been ceded until the agent read them the government order to leave. Of course they refused. You and I would have done the same. When the agent failed to move them, he and the would-be settlers called upon the army to force them to be good, namely, without a murmur to leave their pleasant inheritance in the hands of a crowd of greedy grafters. 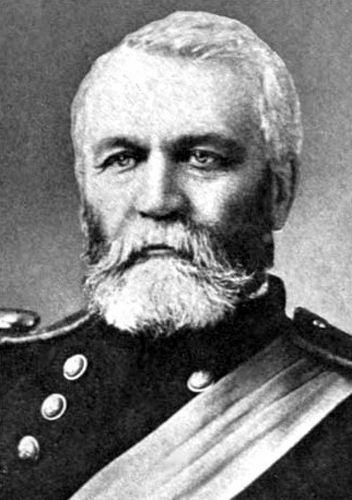 General O. O. Howard, the Christian soldier, was sent to do the work. He had a long council with Joseph and his leading men, telling them they must obey the order or be driven out by force. We may be sure that he presented this hard alternative reluctantly. Joseph was a mere youth without experience in war or public affairs. He had been well brought up in obedience to parental wisdom and with his brother Ollicut had attended Missionary Spaulding’s school where they had listened to the story of Christ and his religion of brotherhood. 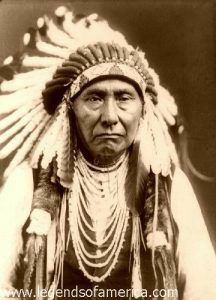 He now replied in his simple way that neither he nor his father had ever made any treaty disposing of their country that no other band of the Nez Perce was authorized to speak for them, and it would seem a mighty injustice and unkindness to dispossess a friendly band. General Howard told them in effect that they had no rights, no voice in the matter: they had only to obey. Although some of the lesser chiefs counseled revolt then and there, Joseph maintained his self-control, seeking to calm his people, and still groping for a peaceful settlement of their difficulties. He finally asked for thirty days’ time in which to find and dispose of their stock, and this was granted. 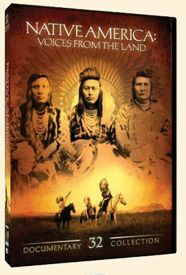 Joseph steadfastly held his immediate followers to their promise, but the land-grabbers were impatient, and did everything in their power to bring about an immediate crisis so as to hasten the eviction of the Indians. Depredations were committed, and finally the Indians, or some of them, retaliated, which was just what their enemies had been looking for. There might be a score of white men murdered among themselves on the frontier and no outsider would ever hear about it, but if one were injured by an Indian –“Down with the bloodthirsty savages!” was the cry. Joseph told me himself that during all of those thirty days a tremendous pressure was brought upon him by his own people to resist the government order. “The worst of it was,” said he, “that everything they said was true; besides” — he paused for a moment — “it seemed very soon for me to forget my father’s dying words, ‘Do not give up our home! '” Knowing as I do just what this would mean to an Indian, I felt for him deeply. Among the opposition leaders were Too-hul-hul-sote, White Bird, and Looking Glass, all of them strong men and respected by the Indians; while on the other side were men built up by emissaries of the government for their own purposes and advertised as “great friendly chiefs.” As a rule such men are unworthy, and this is so well known to the Indians that it makes them distrustful of the government’s sincerity at the start. Moreover, while Indians unqualifiedly say what they mean, the whites have a hundred ways of saying what they do not mean. The center of the storm was this simple young man, who so far as I can learn had never been upon the warpath, and he stood firm for peace and obedience. As for his father’s sacred dying charge, he told himself that he would not sign any papers, he would not go of his free will but from compulsion and this was his excuse. However, the whites were unduly impatient to clear the coveted valley, and by their insolence they aggravated to the danger point an already strained situation. The murder of an Indian was the climax and this happened in the absence of the young chief. He returned to find the leaders determined to die fighting. The nature of the country was in their favor and at least they could give the army a chase, but how long they could hold out they did not know. Even Joseph’s younger brother Ollicut was won over. There was nothing for him to do but fight; and then and there began the peaceful Joseph’s career as a general of unsurpassed strategy in conducting one of the most masterly retreats in history. “I have tried to save you from suffering and sorrow. Resistance means all of that. We are few. They are many. You can see all we have at a glance. They have food and ammunition in abundance. We must suffer great hardship and loss.” After this speech, he quietly began his plans for the defense. The main plan of campaign was to engineer a successful retreat into Montana and there form a junction with the hostile Sioux and Cheyenne under Sitting Bull. There was a relay scouting system, one set of scouts leaving the main body at evening and the second a little before daybreak, passing the first set on some commanding hill top. There were also decoy scouts set to trap Indian scouts of the army. I notice that General Howard charges his Crow scouts with being unfaithful. Their greatest difficulty was in meeting an unencumbered army, while carrying their women, children, and old men, with supplies and such household effects as were absolutely necessary. Joseph formed an auxiliary corps that was to affect a retreat at each engagement, upon a definite plan and in definite order, while the unencumbered women were made into an ambulance corps to take care of the wounded.